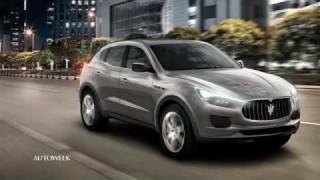 Maserati unveiled an all-new sport luxury SUV, the 2012 Maserati Kubang, at the Frankfurt Auto Show 2011 today.The idea of a sport luxury SUV is naturally not totally new to Maserati. Many will remember theKubangconcept that was unveiled at the Detroit Auto Show in 2003. 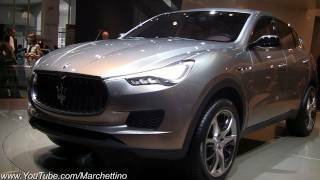 At a time in which few other brands were going in the direction of a sport luxury SUV, Maserati was already thinking to build one.The distinctive Maserati style that makes theKubangimmediately recognisable as a true Maserati has been created by the Maserati Style Center headed by Lorenzo Ramaciotti.New-generation high-tech Maserati proprietary engines will be designed in Modena by Paolo Martinelli – Head of the Maserati Powertrain Department and for nearly 30 years at Ferrari, where he also served as engine chief of the Formula One racing team – and will be produced in Maranello by Ferrari. Frankfurt, September 13, 2011. 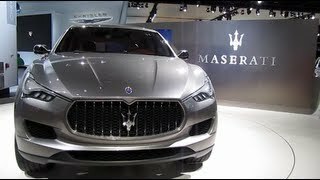 A new Maserati vehicle in the sport luxury SUV segment will represent a natural direction for Maserati to enlarge its product range and strengthen its presence in the sport luxury market. 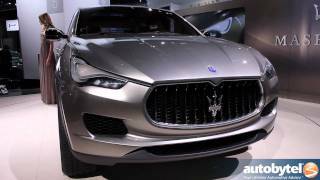 Today potential synergies with sister brand Jeep – a brand that 70 years ago created a new segment of the market and is today a leader of this very segment – are the important catalyst for Maserati’s own interpretation of a sport luxury SUV. 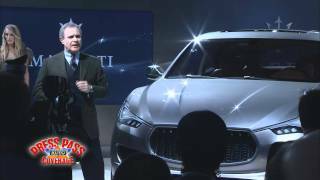 And it seems only appropriate to give the model that we are unveiling today the very name of the concept that opened the way: Maserati Kubang. The distinctive Maserati style that makes the Kubang immediately recognisable as a true Maserati has been created by the Maserati Style Center headed by Lorenzo Ramaciotti. New-generation high-tech Maserati proprietary engines will be designed in Modena by Paolo Martinelli – Head of the Maserati Powertrain Department and for nearly 30 years at Ferrari, where he also served as engine chief of the Formula One racing team – and will be produced in Maranello by Ferrari.